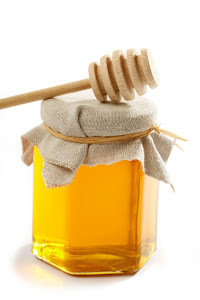 Perm-apiculture - the Natural Beekeeping group: A less obvious benefit of keeping bees . 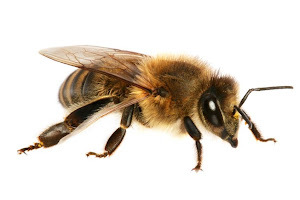 . .
A less obvious benefit of keeping bees . 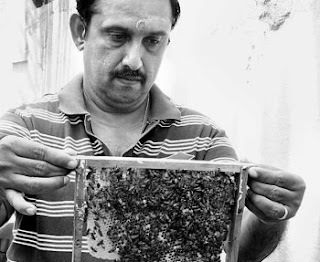 . .
Mr. Swaminathan and bees. © 2011, The Hindu. Systems thinking is a holistic approach to studying a given situation. It considers and includes relationships and processes which are upstream and downstream of that situation. There are inputs and there are outputs. 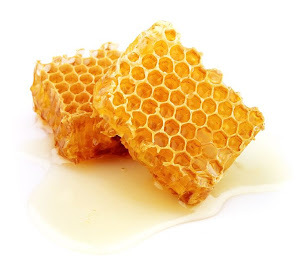 A less considered output, somewhat hidden from view is the 'manure' from the bees which is deposited in the vicinty of the hive. In the case of small scale beekeeping, that's in the garden. This article in 'The Hindu' suggests that 45-50kg of the stuff is produced per hive per year. So, aside from the benefits of pollination on your plants, they are also being nourished from below! All the more reason to keep bees, Naturally.